Sport permeates everything and no more so than in the quaint, traditional towns and villages of Cornwall. In this article, you find a list of unusual sports that you could only take part in down here. You have Football, Rugby, Cricket of course and with all the beautiful coastlines watersports too. Sailing, bodyboarding, kayaking, kite surfing and canoeing. Cornwall is very well known as a mecca for surfers too with people travelling all over the world to ride the waves here. However, we are going to dive into the lesser known physical activities from the county, proper Cornish sports that even get the locals scratching their heads. 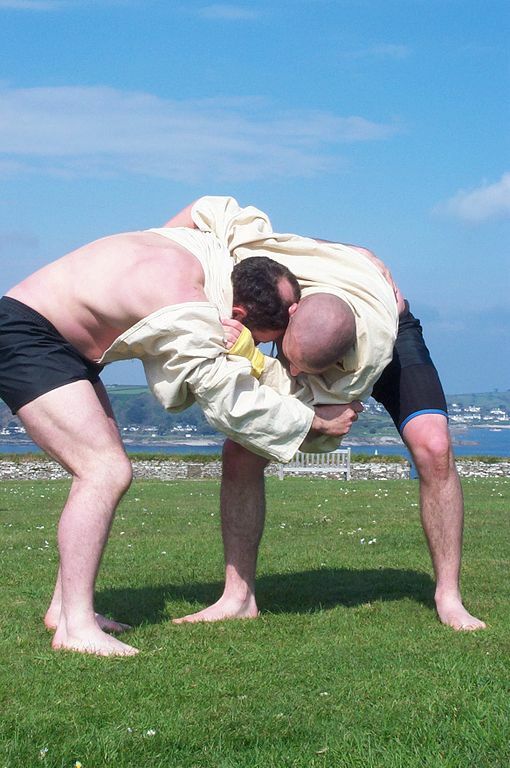 Cornish Wrestling, or in Cornish dialect “wrasslin”, it’s one of the oldest sports still played in Cornwall. Wherever the mine workers travelled they practised this sport of “wrasslin”, unlike typical wrestling, the Cornish version has the combatant wearing tough jackets, to make it easier to hold on to their opponent. All holds have to be taken on the other wrestler’s jacket. Holding below the waist or grabbing fingers or wrists isn’t allowed. The objective is to throw your opponent and land him as flat as possible on his back, the winner is decided by 3 referees or sticklers as they are known. You can discover wrasslin for yourself and even give it a try yourself, check Cornish Wrestling for more information. Hurling, not to be confused with Irish hurling, this Cornish sport is a kind of medieval football played with a silver ball. The game only takes place in Cornwall in the towns of St Columb Major, St Ives and Bodmin (St Ives museum has a hurling ball on public display). If you want to witness Cornish hurling, there are matches played on Shrove Tuesday and the second Saturday following, in St Columb Major. It’s an annual event in St Ives taking place on the Feast Monday each February (the feast is on Sunday nearest to February 3rd). The game starts at 10:30 am when the ball is thrown from the wall of the Parish Church by the Mayor to the crowd below on the beach. Once upon a time, this game was played by the men of the town but nowadays it’s played by the children. Track stand- Set up and tear down a section of track, including sleepers, rail, connecting plates and bolts. Hand mucking- Run a one ton ore wagon down a 75’ track and fill it. Swede Saw- Saw through a 62 x 6” piece of timber with a 36” bow saw. Gold panning- Find five flattened ball bearings in a pan full of dirt and rock. Surveying- Teams are given a starting point and expected to report the coordinates of a finishing point using an old Vernier transit. Ludicrous challenges that showcase traditional mining skills, not be missed, check www.kingedwardmine.co.uk for more information. 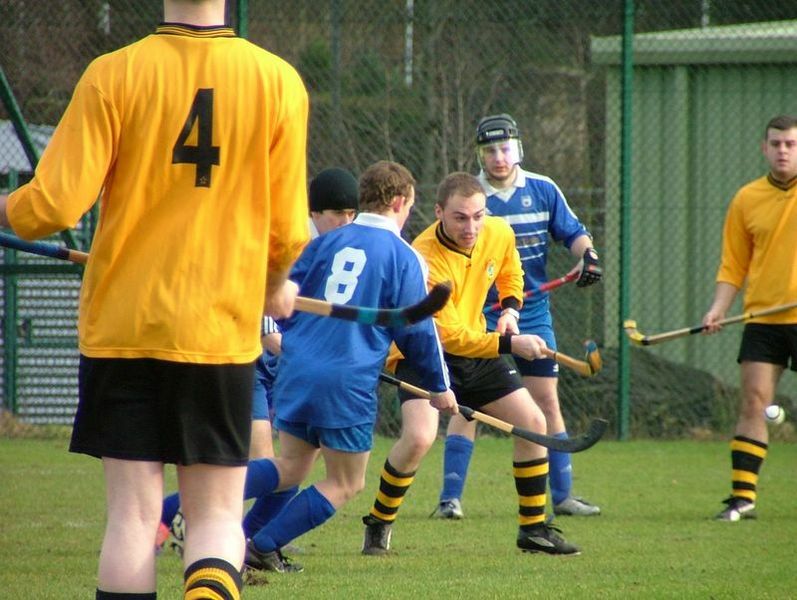 Shinty is a game played with sticks and a ball, like lacrosse rather than golf so prepared for some full on contact. It originated in the Scottish Highlands and was popular in Cornwall in the early 20th century but in 2012 it made a revival and Cornwall boasts success in both their male and female teams. The aim of the game is to score points by hitting a small, hard ball into nets not too dissimilar to football goals. The Cornish Team go by the nickname The Pasties and play at the Draceana Centre in Falmouth. Visit http://cornwallshintyclub.wixsite.com/shinty for more information. These fringe sporting activities are what makes Cornwall and other places around the UK unique, a resurgence in these sports keeps the traditions alive and makes for a conversation starting, memorable experience when you take the stories back home. Don’t forget to check out our handpicked selection of Holiday Cottages in St Ives and surrounding areas.